I’ve previously written about how photography’s shifted over the years. In 2003, digital cameras first outsold film cameras, with the latter soon dying out. Recently, I wrote about how digital cameras themselves have been eclipsed in recent years by smartphone-based cameras. It looks like that’s not the only shift in photography for most people. 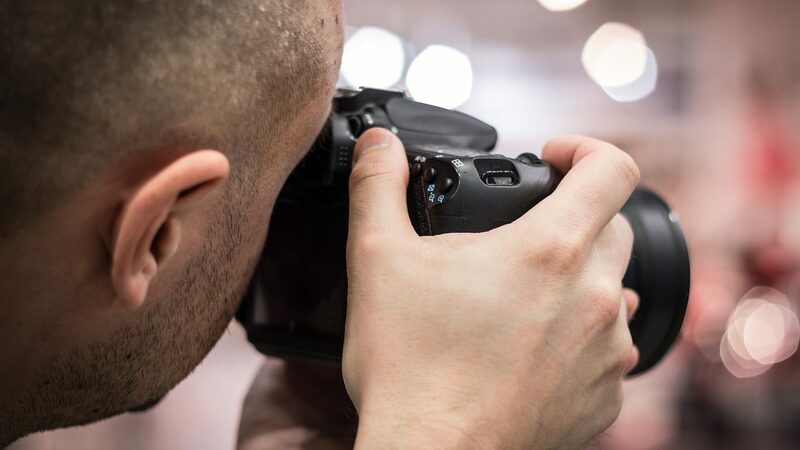 InfoTrends, a research firm, reports that out of an estimated 1.2 trillion photos taken worldwide this year, 85% of them will be from a smartphone. The infographic below shows the explosion in the number of photos taken in recent years. As shown above, mobile devices now dominate photography for the average person. There’s also zero presence of film-based cameras left, outside of enthusiasts. 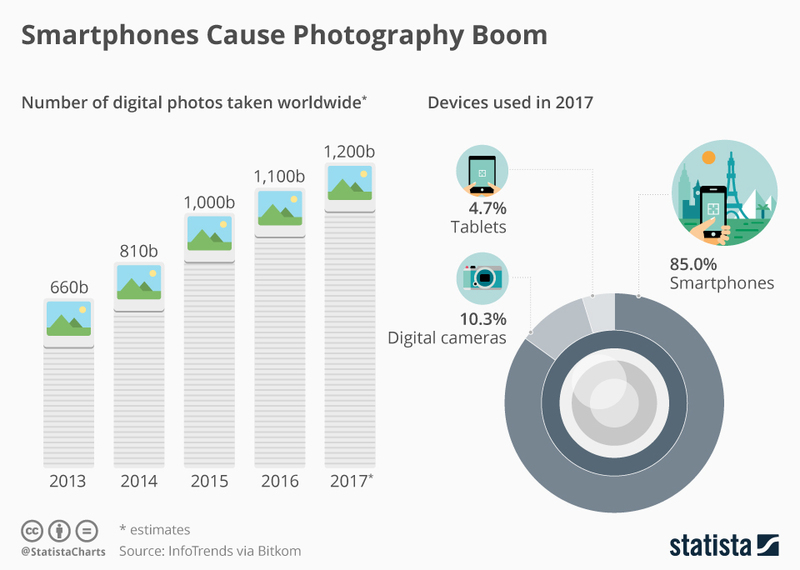 I couldn’t find exactly when smartphones started to outsell point-and-shoot digital cameras, but I gather it’s sometime in the early 2010s. As for my photography, I still have my Kodak point-and-shoot digital camera. However, I usually just use it on vacations or holidays these days, as it’s a nicer camera than the one in my Moto G smartphone. Otherwise, on a typical day, I’ll use my smartphone’s camera. One example of my smartphone camera is the photo below, uploaded to Instagram (and without any filters). And yes, social networks like Instagram are one big factor fueling smartphone photography. The Space Needle and Pacific Science Center. As for using tablets to take photos, the infographic says tablet usage will make up almost 5% of photos taken this year. While tablet cameras do have their uses, I always viewed them as a camera of last resort, if a smartphone or standalone camera aren’t available. Given tablets’ bulkiness, they don’t strike me as the most convenient way to take pictures. Do any of you still use a digital camera, or is it exclusively smartphone camera photos for you? Let me know in the comments. Previous Post:How did 2017’s summer blockbusters do at the box office?